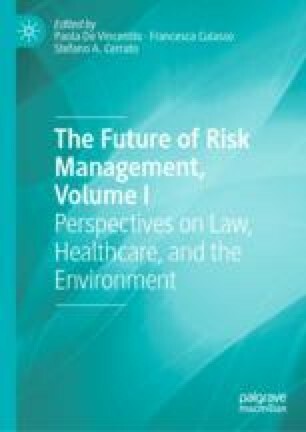 This study explores risk management issues in local government-owned enterprises in accordance with the third wave of governance, organization and management logics of Public Administration: the Public Value (PV) approach. However, the coexistence between the emerging PV approach and the more traditional and consolidated ones is often difficult, also because of the resistance of shareholders who may not consider the management of system-level risks as a priority mission for their company. For this reason, we have analyzed the strengths and weaknesses of the Traditional Approach and the New Public Management approach in the public sector management. Abdullah, S. F., Yusof, M. M., & Jambari, D. I. (2016). Risk management model for information systems planning in public sector. Jurnal Pengurusan, 48. Retrieved from https://www.scopus.com/inward/record.uri?eid=2-s2.0-85009288353&partnerID=40&md5=eef98bbac45ea9ed42d6598a9a1deb7d. Ackermann, C., & Marx, B. (2016). Internal audit risk management in metropolitan municipalities. Risk Governance and Control: Financial Markets and Institutions, 6(3), 45–51. https://doi.org/10.22495/rcgv6i3art7. Asenova, D., Bailey, S. J., & McCann, C. (2013). Managing the social risks of public spending cuts in Scotland. York: Joseph Rowntree Foundation. Retrieved from http://www.jrf.org.uk/sites/files/jrf/public-spending-cuts-scotland-full.pdf. Esmark, A. (2017). Maybe it is time to rediscover technocracy? An old framework for a new analysis of administrative reforms in the governance era. Journal of Public Administration Research and Theory, 27(3), 501–516. https://doi.org/10.1093/jopart/muw059. European Commission. (2014). Report from the commission to the council and the European Parliament. EU anti-corruption report. Retrieved from https://ec.europa.eu/home-affairs/sites/homeaffairs/files/e-library/documents/policies/organized-crime-and-human-trafficking/corruption/docs/acr_2014_en.pdf. Freeman, R. E. (1984). Strategic management: A stakeholder approach (Vol. 1). Boston: Pitman. https://doi.org/10.2139/ssrn.263511. Hinna, A., Gnan, L., & Monteduro, F. (2016). Governance and performance in public and non-profit organizations. Bingley, UK: Emerald Group Publishing. Retrieved from http://www.worldcat.org/title/governance-and-performance-in-public-and-non-profit-organizations/oclc/949930469. Krueger, A. O. (1974). The political economy of the rent-seeking. American Economic Review, 64(3), 291–303. https://doi.org/10.2307/1808883. Lambsdorff, G., & Johann. (2005). Consequences and causes of corruption: What do we know from a cross-section of countries? Passauer Diskussionspapiere, Volkswirtschaftliche Reihe. Retrieved from https://ideas.repec.org/p/zbw/upadvr/v3405.html. Moore, M. H. (1995). Creating public value: Strategic management in government. In Classics of public administration (pp. 549–561). Cambridge, MA: Harvard University Press. Retrieved from http://www.hup.harvard.edu/catalog.php?isbn=9780674175587. Moss, D. A. (2004). When all else fails: Government as the ultimate risk manager. Cambridge, MA: Harvard University Press. Retrieved from http://www.hup.harvard.edu/catalog.php?isbn=9780674016095. Osborne, S. P. (2010). The new public governance? Emerging perspectives on the theory and practice of public governance. New York: Routledge. Retrieved from https://books.google.it/books/about/The_New_Public_Governance.html?id=YFgp5LXDC-IC&redir_esc=y. Silver, H. (1995). Social exclusion and social solidarity: Three paradigms. Hilary International Labour Review, 1336(5). Retrieved from https://heinonline.org/HOL/Page?handle=hein.journals/intlr133&div=51&g_sent=1&casa_token=&collection=journals. Zardari, S. (2009). Software risk management. In Proceedings—2009 International Conference on Information Management and Engineering, ICIME 2009 (pp. 375–379). IEEE. https://doi.org/10.1109/ICIME.2009.138.